The United States Tennis Association of South Carolina is excited to announce that its Junior Team Tennis State Championships will be held in Camden, South Carolina in 2018 and 2019. The tennis championship, which is expected to bring nearly 500 players, parents and coaches from across the state into the community will be held at the City’s new $3 million “Tennis Center of Camden” facility. The Tennis Center of Camden is the host site. Camden High School also will host matches. The new state of the art Tennis Center of Camden features 16 lighted courts, 1,150 square feet of portico for shade, 2 stadium courts with canopied bleachers for spectator seating. In addition, the center has a pro-shop, a club house, an office and public restrooms. The site includes more than 150 parking spaces and over 3,500 feet of lighted sidewalk and walking trails around and throughout the center. In addition to numerous restaurants, historic sites and touring districts, Historic Camden offers the Wateree River, Lake Wateree, South Carolina Equine Park, Carolina Motorsports, and N.R. Goodale State Park, among others. USTA Junior Team Tennis brings together boys and girls, ages 6 to 18, to play singles, doubles and mixed doubles against other coed teams. JTT is a competitive, level-based environment that promotes individual growth, social growth and life skills. For more information about participating in USTA SC Junior Team Tennis programs, visit sctennis.com/jtt. 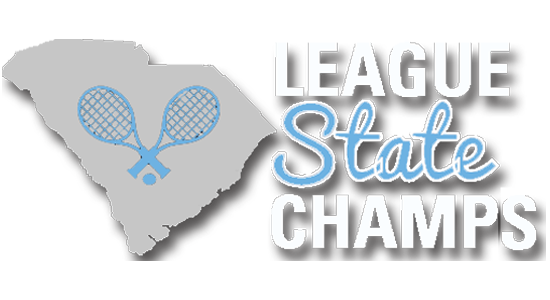 For more information on the state championships, visit sctennis.com/jttchamps.